Terrorist attacks worldwide shot up 25 percent last year, particularly in Iraq where extremists used chemical weapons and suicide bombers to target crowds, according to a new State Department report. Iran remains the biggest supporter of terrorism around the world, with elements of its government backing groups throughout the Middle East, particularly in Iraq, the report said. In its annual global survey of terrorism released Monday, the State Department says about 14,000 attacks took place in 2006, mainly in Iraq and Afghanistan. These strikes claimed more than 20,000 lives — two-thirds in Iraq. That is 3,000 more attacks than in 2005 and 5,800 more deaths. Altogether, 40 percent more people were killed by increasingly lethal means around the globe. The report claims tighter border controls have limited the movement of terrorists, reports CBS News national security correspondent David Martin. But al Qaeda is changing its tactics. Instead of infiltrating teams like the 9/11 hijackers into a country, it now relies on homegrown terrorists for operations like the London Heathrow bomb plot against airliners, adds Martin. In Iraq, the use of chemical weapons, seen for the first time in a Nov. 23, 2006, attack in Sadr City, also "signaled a dangerous strategic shift in tactics," it says. With the rise in fatalities, the number of injuries from terrorist attacks also rose, by 54 percent, between 2005 and 2006, with a doubling in the number wounded in Iraq over the period, according to the department's Country Reports on Terrorism 2006. The numbers were compiled by the National Counterterrorism Center and refer to deaths and injuries sustained by "non-combatants," with significant increases in attacks targeting children, educators and journalists. "By far the largest number of reported terrorist incidents occurred in the Near East and South Asia," says the 335-page report, referring to the regions where Iraq and Afghanistan are located. "These two regions also were the locations for 90 percent of all the 290 high-casualty attacks that killed 10 or more people," says the report, a copy of which was obtained by The Associated Press ahead of its official release. The report says 6,600, or 45 percent, of the attacks took place in Iraq, killing about 13,000 people, or 65 percent of the worldwide total of terrorist-related deaths in 2006. 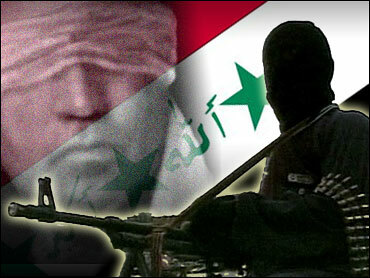 Kidnappings by terrorists soared 300 percent in Iraq over 2005. Afghanistan had 749 strikes in 2006, a 50 percent rise from 2005 when 491 attacks were tallied, according to the report. However, the report also details a surge in Africa, where 65 percent more attacks, 420 compared with 253 in 2005, were counted last year, largely due to turmoil in or near Sudan, including Darfur, and Nigeria where oil facilities and workers have been targeted. As in previous years, the 2006 report identifies Iran as the "most active state sponsor" of terror, accusing the Islamic Republic of helping plan and foment attacks to destabilize Iraq and derail Israeli-Palestinian peace efforts. Although the designation is not new, it appears in the report that is being released as Secretary of State Condoleezza Rice prepares to attend a conference of Iraq's neighbors, at which she has not ruled out a meeting with Iran's foreign minister. The report says that terrorists continue to rely mainly on conventional weapons in their attacks, but noted no let up in an alarming trend toward more sophisticated and better planned and coordinated strikes. For instance, while the number of bombings increased by 30 percent between 2005 and 2006, the death tolls from these incidents rose by 39 percent and the number of injuries rose by 45 percent, it says. Of the 58,000 people killed or wounded in terrorist attacks around the world in 2006, more than 50 percent were Muslims, the report says, with government officials, police and security guards accounting for a large proportion. The number of child casualties from terrorist attacks soared by more than 80 percent between 2005 and 2006 to more than 1,800, while incidents involving educators were up more than 45 percent and those involving journalists up 20 percent, the report says. Twenty-eight U.S. citizens were killed and 27 wounded in terrorist incidents in 2006, most of them in Iraq, where eight of the 12 Americans kidnapped by terrorists last year were taken captive, it says.